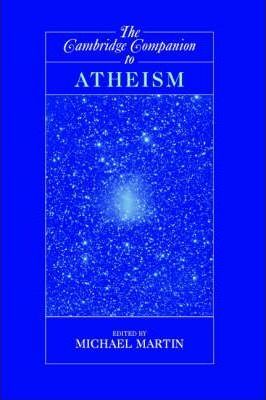 In this 2007 volume, eighteen of the world's leading scholars present original essays on various aspects of atheism: its history, both ancient and modern, defense and implications. The topic is examined in terms of its implications for a wide range of disciplines including philosophy, religion, feminism, postmodernism, sociology and psychology. In its defense, both classical and contemporary theistic arguments are criticized, and, the argument from evil, and impossibility arguments, along with a non religious basis for morality are defended. These essays give a broad understanding of atheism and a lucid introduction to this controversial topic. Part I. Background: 1. Atheism in antiquity Jan Bremmer; 2. Atheism in modern history Gavin Hyman; 3. Atheism: contemporary rates and contemporary patterns Phil Zuckerman; Part II. The Case Against Theism: 4. Theistic critiques of atheism William Lane Craig; 5. The failure of classical theistic arguments Richard Gale; 6. Some contemporary theistic arguments Keith Parsons; 7. Naturalism and physicalism Evans Fales; 8. Atheism and evolution Daniel Dennett; 9. The autonomy of ethics David Brink; 10. The argument from evil Andrea Weisberger; 11. Kalam Cosmological argument for atheism Quentin Smith; 12. Impossibility arguments Patrick Grim; III. Implications: 13. Atheism and religion Michael Martin; 14. Feminism and atheism Christine Overall; 15. Atheism and the freedom of religion Steven Gey; 16. Atheism, a theology and the postmodern condition John Caputo; 17. Anthropological theories of religion Stewart Guthrie; 18. Atheists: a psychological profile Benjamin Beit-Hallahmi. 'If we want to understand atheism, The Cambridge Companion to Atheism - a collection of essays to guide students of philosophy and theology - is a good place to start.' Church Times 'If we want to understand atheism, The Cambridge Companion to Atheism - a collection of essays to guide students of philosophy and theology - is a good place to start.' Church Times "This timely volume appears in the midst of what many see as a resurgence of interest in and enthusiasm for atheism, a resurgence that may result from a reaction to resurgent religious fundamentalism at home and abroad[...]the book does contain some resources that scholars will find valuable, and its introductory-level approach is appropriate given the book's aims." Michael Martin is Professor of Philosophy Emeritus at Boston University. He is the author of over 150 articles and reviews as well as several books including Atheism, Morality and Meaning, The Impossibilty of God with Ricki Monnier and Atheism: A Philosophical Justification.